Select one of our three High Performance Driving Experiences to improve your driving skills on one complete day. Want to select another hdpe? No Stress, we make it easy for you! Learn the most efficient techniques from a pro for driving fas‌t on our racetrack. Ride as a passenger of a pro in a Pors‌c‌he SUV to get a preview of our racetrack. 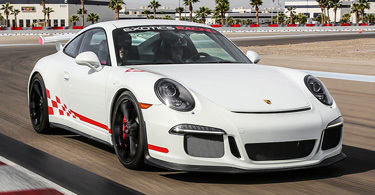 Get behind the wheel of a supercar on track with your personal racing instructor. Helmets are required and provided on track at no cost. Insurance is included and no security desposit is needed. After completion, you will receive a Certificate of Achievement. The supercar VIP Experience is available from $1,000 spenders for drivers who desire a one-of-a-kind experience. We offer round-trip transportation from the Las Vegas Strip to each participant + 1 guest.